Central Christian College of Kansas's technology partner works with multiple universities to offer online programs. Submitting this form constitutes your express written consent to be called and/or texted by Central Christian College of Kansas at the number(s) you provided, regarding furthering your education. You understand that these calls may be generated using an automated technology, including by way of example, auto-dialer and click-to dial technologies. Calls may be recorded for quality assurance and training purposes. In compliance with the Children’s Online Privacy Protection Act of 1998, no one under 13 years of age can use the web site. If you are a minor between the ages of 13 and 18, you may use the site only in conjunction with your parent, legal guardian or other responsible adult. Clicking the “Download Your Brochure” button constitutes your express written consent to be called, emailed, and/or texted by Central Christian College of Kansas Online at the number(s) you provided, regarding furthering your education. You understand that these calls, emails, and/or texts may be generated using an automated technology. 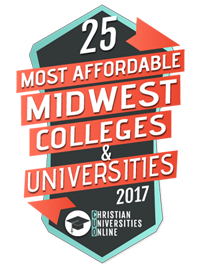 Earn your degree from Central Christian College of Kansas. Choose from a program below and request more information today! To learn more about our programs, as well as tuition and financial aid, click on the button below.